” List of Animal Rescues: Find A Pet Here Adverts contribute towards site running costs, but currently may not fit with the site ethos. We will continue to work on a solution. Would you like to adopt a pet and save an innocent life? Or Maybe you would prefer saving lives by fostering or sponsoring an animal? This page will help you find animal rescues all over the UK, US, and other countries where you can adopt, foster or sponsor an animal. You can find animal rescues that re-home a variety of different animals, just one specific type of animal, or only specific breeds of animal. You could even adopt a rescued farm animal, reptile, ex-battery hen, fish, or exotic pet. Just choose a heading from the purple contents box to go straight to the section of this page you want. People often think that the particular breed of pet they want are never available in rescues, but there are actually many rescues specialising in one particular breed of animal. There are specific breed dog rescues for just about every dog breed in existence. Plus, nearly one in four dogs in general rescues are pure bred. Another misconception is that dogs who end up in rescues are mostly old, or must have something wrong with them. The reality is that the average age for a dog to end up in rescue is around just 18 months old. And rather than there being something wrong with them, people who bought them as puppies often just did not realise how much time, effort and money a pet can take, and realised they couldn’t give the pet the time and attention it needed. All that is “wrong with them” is that they were let down by the humans they trusted. As things stand, there is not one definitive list of U.K. animal rescues online that includes every rescue on it. 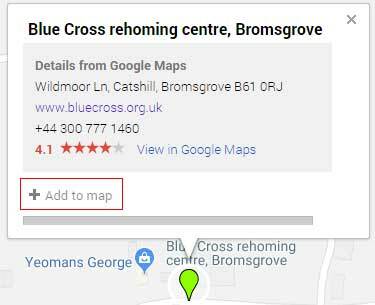 That is why we have added an interactive map of Animal rescues in the UK, that YOU can help update by adding your animal rescue shelter. 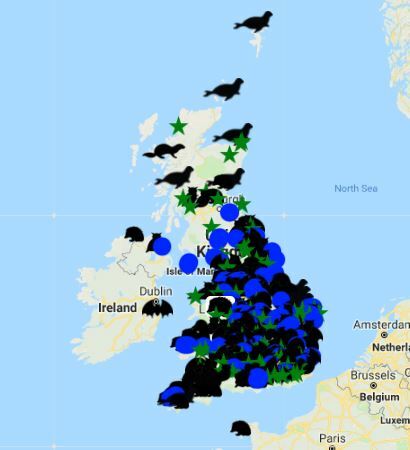 The idea is to make this the most comprehensive map of UK animal rescues available online, so people always know where they can go to adopt, re-home, foster or sponsor an animal in need. Please follow the instructions underneath the map to add your rescue. If you are searching for an animal rescue, you can zoom in to your local area on the map below, to find rescues near you. You can search for the type of animal you are looking for, or the specific breed, through these links. For instance, there are rescues that specialise in certain breeds of dog and cat, and others that specialise in large breeds of dog, small breeds of dog, farm animals, wildlife, small animals, reptiles, etc. Through The Kennel Club’s Find A Rescue Dog service, you can search for the breed of dog you are interested in. On the Support Adoption For Pets site, you can search for the kind of pet you would like, and for specific breeds of dogs, cats, rabbits, and other animals. At Pets4Homes, you can search for specific breeds of dogs, cats, rabbits, fish, and a number of other animals. This site also allows private breeders to advertise, so be careful that you are adopting from an animal rescue and not someone who may be bbreeding animals and exploiting them for profit, especially when so many pets are desperately longing to be adopted. 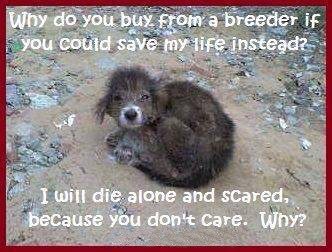 Find specific breeds of rescued dog through The Dog Rescue Pages. As nearly 1 in 4 dogs at general shelters and rescues are pure breed and pedigree, it is worth browsing general shelters too. You can find lists of general animal shelters in the next section of this page. 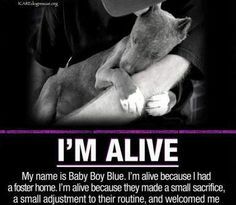 Specific breed rescues often rely entirely on fosterers to be able to save the lives of these pets. If you think that is something you could do, find out what is involved in animal fostering, here. Many rodents and other small animals need re-homed, often after being bought for children and the novelty wearing off for them. 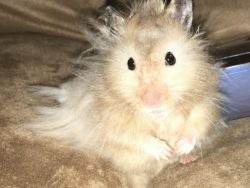 Here is a list of small animal rescues in the UK. A list of rabbit rescues, many of which also rescue and re-home other small animals too, can be found here. It has a map of the rescues, showing their locations. The Help Wildlife website has useful information on, including on its Help page, where it provides links to more wildlife rescues. At Rehome A Pet, you can search for the species of animal and the area of the country you are interested in. You can also choose specific charities/rescues. You can find a pet to adopt, foster or sponsor in the UK on the Animal Saver A-Z List of UK Animal Rescue Centres. At the top of the list there is an option to narrow your search area by county. You can alternatively click an area of the map. You can then go to the websites of the rescues to view all their available animals. UK Animal Rescuers has a directory of animal rescues, where you can choose the animal you are interested in, and the region. They have a large variety of animals to choose from. On the Support Adoption For Pets site, you can search for a species of animal, or for animal rescues by area. You can also find specific species of animals including cat, dog and rabbit, rodents, fish, reptiles, and more. Another site to look at is Pets4Homes, where you can search by animal species, from dogs to poultry to reptiles. This website also allows private sellers to advertise, so be careful that you are adopting from an animal rescue and not someone who may just be breeding pets for profit, when so many are desperately longing to be adopted from rescues. In addition to the above ways to find a rescue pet, there is our own list on this page, starting in the section below, that covers the UK. Many of the rescues will have ‘No Kill’ policies, but others will not. You need to check with each rescue for their policies. Many of the rescues websites will have details on them about fostering and sponsoring animals, as well as adopting. Doing search of “Animal Rescue” and your area through a search engine can also be helpful when looking for an animal to adopt, foster or sponsor. If you use a charity search engine for this, you can earn money to help animals while you search. To find a pet to adopt, foster or sponsor from a UK animal rescue or shelter, see the list of animal rescues we have compiled, below. In addition to our list below, we have provided links to other lists of animal rescues in the “Find UK Animal Rescues” section of this page. It is worth looking at these in addition to ours, as they will include some different rescues. The only breed specific rescues included in our list, below, are the breeds there is the biggest overpopulation problem with, and which most often experience abuse, such as Staffordshire Bull Terriers & Greyhounds. 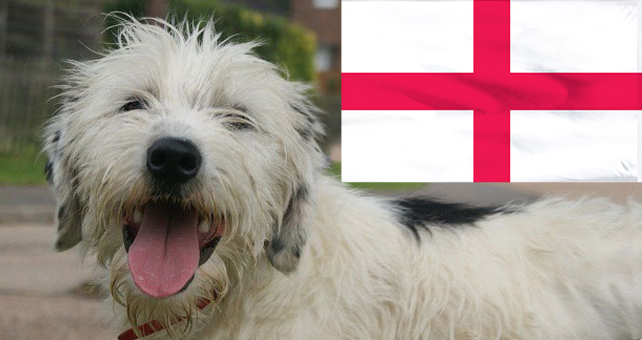 Our list of animal rescues in England, below, is divided into areas. Scroll to find your area. Many of the animal rescues below endeavour to re-home rescue pets to homes as far across England (and the UK) as their resources allow. They are always looking for more volunteers to help them save more animals. Droitwich Ferret Welfare Bishops Frome, Near Worcester. In this section, you will find Scottish Animal Rescues. Scroll to find your area. Many of the animal rescues below endeavour to re-home rescue pets to homes as far across Scotland (and the UK) as their resources allow. They are always looking for more volunteers to help them save more animals. In this section, you will find Welsh Animal Rescues. Scroll to find your area. Many of the animal rescues below endeavour to re-home rescue pets to homes as far across Wales (and the UK) as their resources allow. They are always looking for more volunteers to help them save more animals. 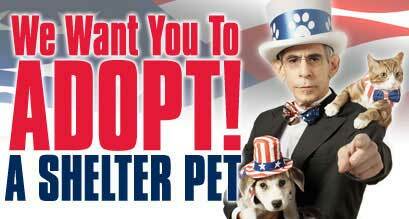 To adopt, foster or sponsor an animal from the US, click on the links below to find animal rescues in your area. In this section, you can find animal rescues and animal charities worldwide. Image: Dog saved from the horrific Asian dog meat trade by the Animal Hope and Wellness Foundation website. On the World Animal Net web page, you can find a larger directory, and you can search for animal rescues and charities world wide. If you cannot help stop the deaths of innocent pets by adopting, fostering or sponsoring, you can help by cross-posting pets looking for rescue spaces (see the cross-posting page for details of what to do). There are also many other ways to help stop animal cruelty, and there is something that will suit everyone, no matter what their personality or lifestyle. Share these ways with other people, on social media for example, to get more people helping. Educating people about the cruelty that goes on is another way to help, so share the information in the Types Of Animal Cruelty section of this site. Viewing it will broaden your knowledge of many different types of animal abuse that happens in the world. 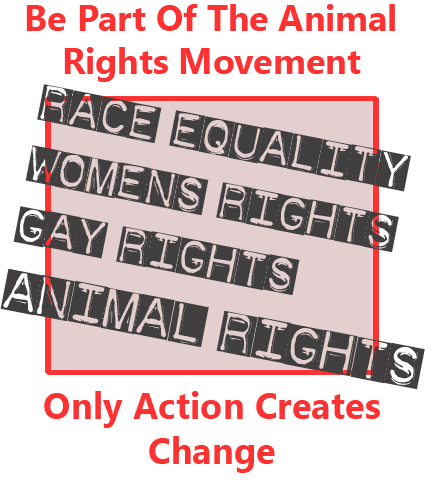 One way of raising awareness of animal cruelty issues is by educating people with what you wear, and by displaying stickers and posters on your vehicle or windows and door at home. You can find suitable items to wear or display in our fundraising store, where your purchases help animals.